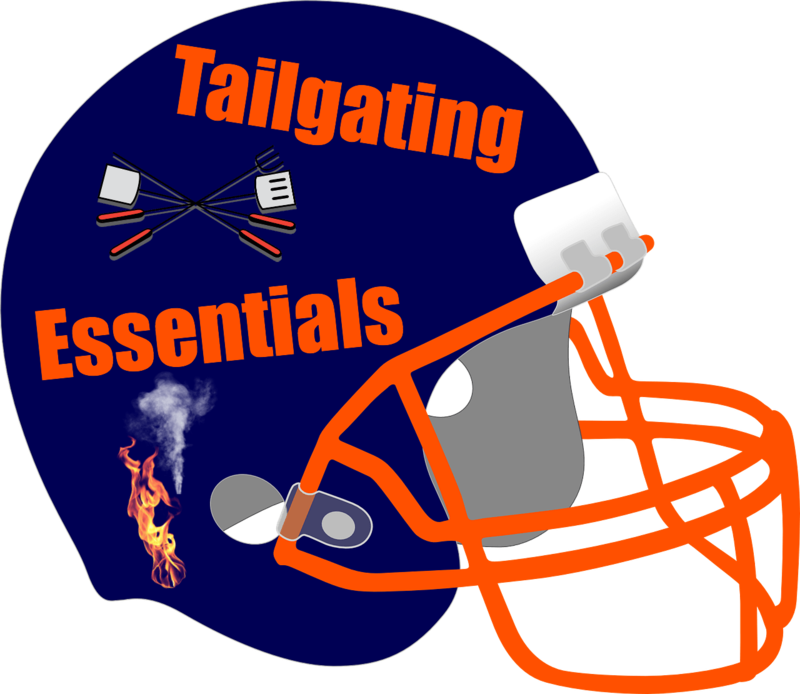 This post on the Best 10 Tailgating Essentials is brought to you by my partnership as a Datarank blogger, Walmart & Kingsford. One of my family’s favorite times of the year is football season. During football season you will see us at our favorite games tailgating. Since I’m a busy mama I like to prep things to make tailgating a lot easierand less stressful. 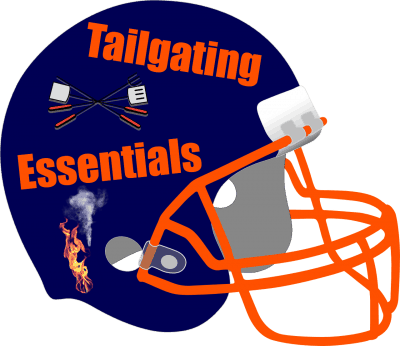 I wanted to share with you my top ten tailgating essentials. Let’s get to grilling! I love our charcoal grill and bringing it with us while we tailgate. It’s portable, lightweight, and gives us the grilled taste that we love. 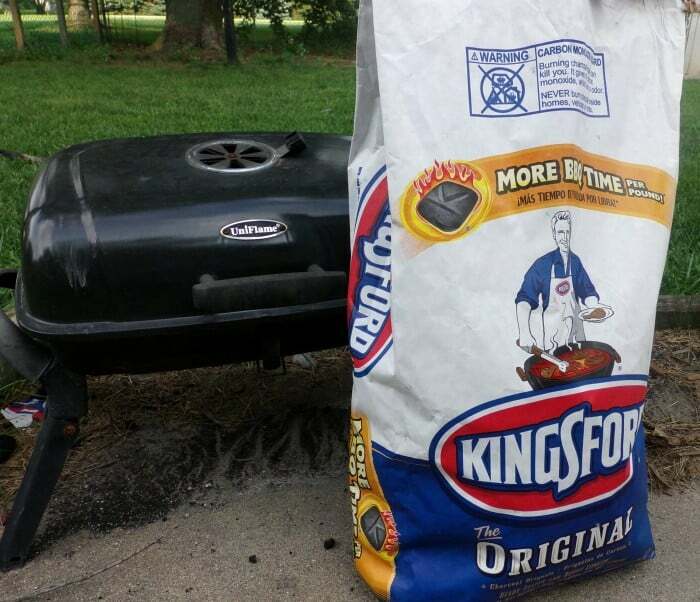 For years we’ve used Kingsford Charcoal in at our tailgating parties. We’ve used it for so many years that we can’t even fathom using a different brand. It helps cook our meats to grilled perfection and for that we’re very thankful. One of my favorite parts of tailgating is getting the burgers ready. I spend about 5-10 minutes the night before seasoning the ground beef we got from Walmart and shaping them for the next day. It’s really nice just to grab a Tupperware container, put the prepped burgers in them, and I’m good to go for the next morning. 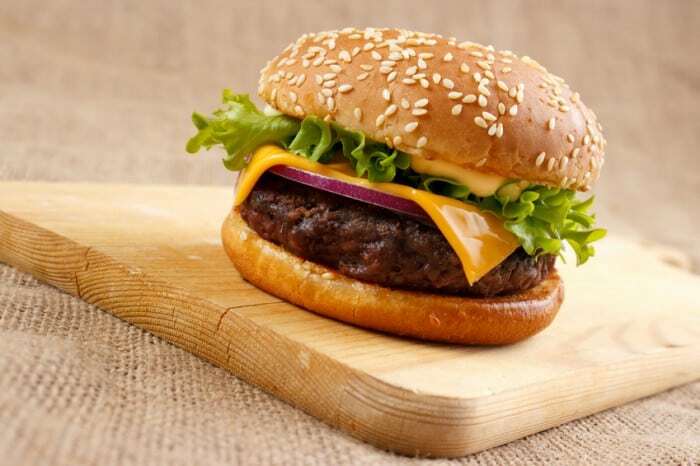 I don’t know about you but one of my favorite parts of a hamburger is the veggies. I spend a few minutes the night before our tailgating party prepping the veggies. I cut up onions, tomatoes, and lettuce for the big game. I also pack our favorite cheese to come along with us. You can’t have a great burger without cheese. We’ve also started the tradition where we put our grilling coals into a metal bucket and bring it with us. It’s so much easier than toting around a large back of charcoal. I just dump several coals into the metal bucket and we’re good to go for the next morning. A bonus is now you have some place to put the hot coals when you are through. I have a secret to tell you for packing the condiments and this is one of my favorite parts of the game too. I put our ketchup, mustard, and all of our other favorites in an empty 6 pack carrier, you know the ones that bottles of beer or rootbeer come in.. It works well and I also get to recycle a little bit. To save time, I actually pre-pack all of our drawers. I take along a 3 drawer container with everythink we’ll need for the game. It’s an awesome way to stay organized and also make sure we don’t forget anything. There’s nothing worse than heading to a tailgating party to only realize we forgot something. When it comes to tailgating, you have to get there early. When we tailgate, we try and make sure we get there 4 hours before the game starts. This gives us enough time to find the best spots and to start grilling before the big game. 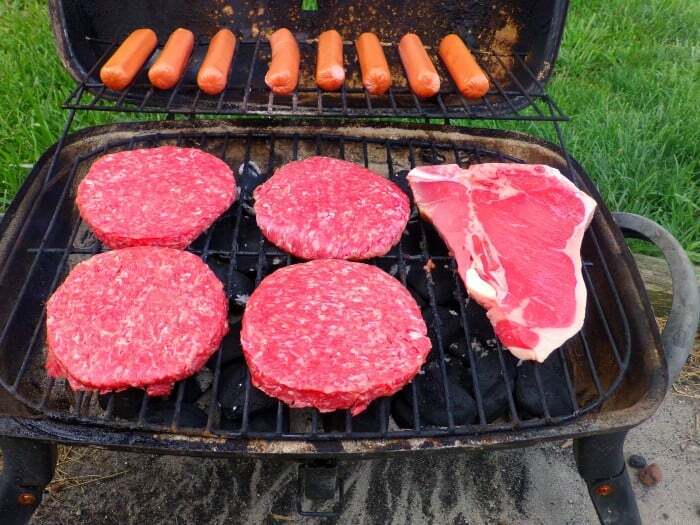 We enjoy cooking hamburgers, steaks, and hotdogs so the grilling is one of the best parts for us! I make sure to pack plenty of extra of the essentials. You never know if it’s going to rain, so we pack extra tents, chairs, plates, charcoal and anything else we can fit in. Since tailgating is all about the experience, we don’t want to have to leave for anything! Let’s not forget the drink cooler because that’s also an essential part of tailgating. We pack our favorite drinks in the morning, spread ice all around, and then we are good to go! These are the ten essentials that we use for packing for the big game. Tailgating should be fun and not stressful and that’s why I spend so much time prepping and making sure I don’t forget anything. In a large bowl combine ground beef, onion dip mix and worcestershire sauce. Let meat rest and marinate at least 4 hours to combine flavors. I will often make these into patties for the resting period so that step is out of the way. I only have to get my hands dirty once. One last thing…who are you rooting for this year? These sound delicious! Is the dip mix enough to keep them together? Should I add an egg? I have never had to add an egg to the mixture because your not adding a lot of dry mixture to the hamburger. You could have an egg on hand just in case but I doubt you will need it. That burger looks so good! I am so hungry now! That burger looks so delicious! I will have to give this recipe a try soon! My husband’s from Wisconsin so he’s a huge Packer fan! He also likes to grill, so we can use this recipe. I can’t say that we watch much sports here and the only place I have ever tailgated (is that a verb?) was when we went to NASCAR races. For them we all caravanned (Is that a verb?) in our motorhomes so we had all we needed. Your list is great for people not carrying a mini house on wheels with them! Thanks for the great tips. I can’t wait to try these out for a Steelers game. The steak looks so good! My family would love these burgers! I agree with you — the toppings just make everything taste better. Looks amazing! I am definitely hungry now! What great tailgating experiences. Thanks for the tips. BTW that French Onion Burger looks delish! In Canada our foot ball league is the CFL. This weekend is a big rivalry game, the Banjo Bowl in Winnipeg. GO BOMBERS. I am going to try the burger recipe this weekend. I have to give this burger recipe to my dad! Him, my brother and uncle all love going to the games and they are are huge football fans! I really like your tips for packing the 3-drawer containers, super smart. 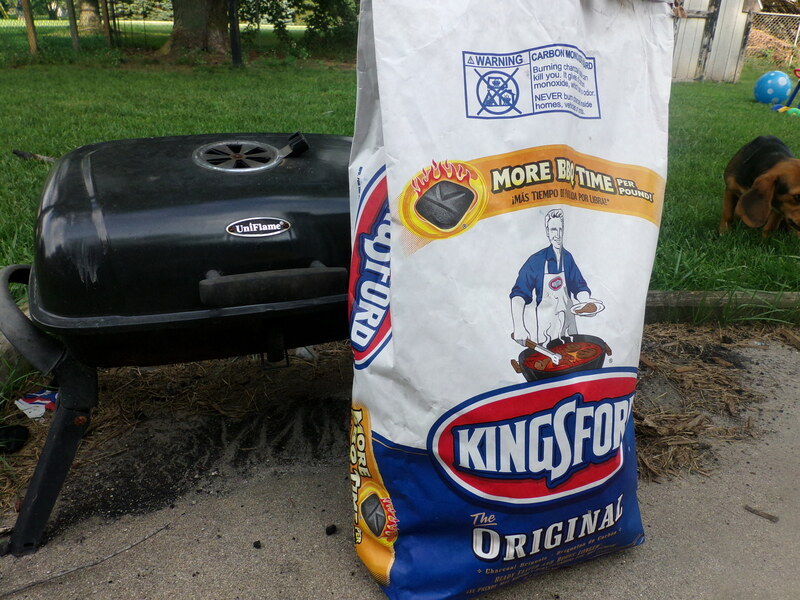 there’s nothing quite like the smell of charcoal in my backyard, at the park, or at a stadium. This sound like a great burger recipe, we love onions!